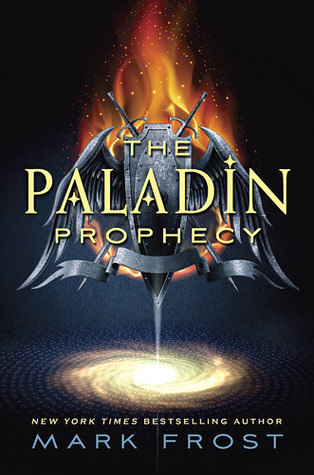 Ambuzzador: The Paladin Prophecy Book Trailer + ARC Giveaway! The Paladin Prophecy's book trailer is perfect! I watched the book trailer before reading the story, so I felt as though I knew what I'd be getting into. It's a very realistic representation of the story's plot and the suspense and action that's found on each page. Not only does the video show glimpses of Will's journey and what he's up against, but it shows it in startling detail. I love the quality of the trailer, too. My first thought after watching it was: "Wow, I could totally see this story becoming a movie!" 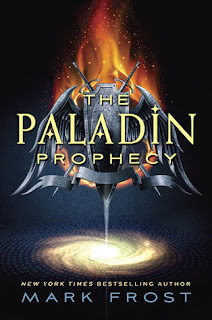 So, tell me what you think of The Paladin Prophecy's book trailer, or the book, and you could win a Paladin Prophecy ARC! There are also invite codes to automatically earn a free book when you join Random Buzzers up for grabs! The HeadBuzzer is adding very special books to the store so join ASAP! Please make sure you have access to the email address used to sign-in with Rafflecopter. I'll be sending winners their codes through email! Winners will have 48 hours after notification to confirm or new winners will be chosen. The trailer was really epic!